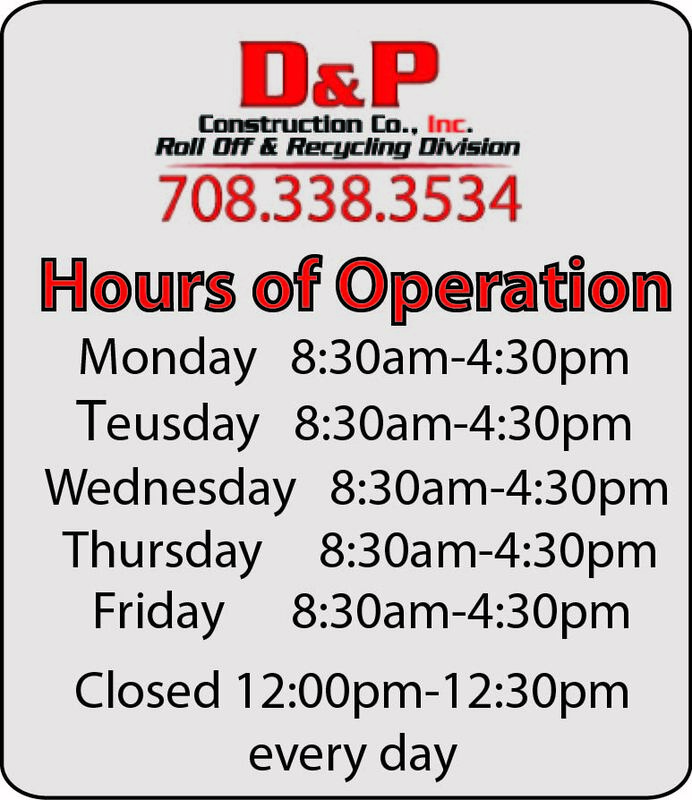 D&P is ready to help with anything you need. Throughout our site you can find information on each service including frequently asked questions. 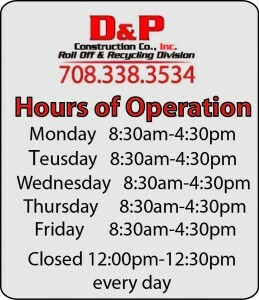 If you would like to ask a question over the phone feel free to call our main yard. You might also fill out the contact form on the bottom of this page and we will respond by email. If you would like immediate contact feel free to click on the start a chat button to the right side of the screen. Our Lake St yard is located at the intersection of Mannheim Rd. (Rt. 45) & and Lake St. (Rt. 20) in Melrose Park Illinois. 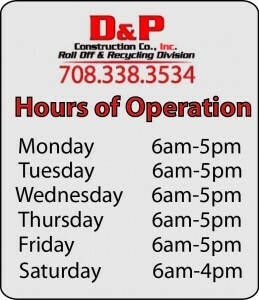 It is the main location for our fleet of trucks and most of the work we do is out of this yard. The corporate office is our accounting department and is located in The City of Chicago on Bryn Mawr Ave. All billing is handled out of this location.